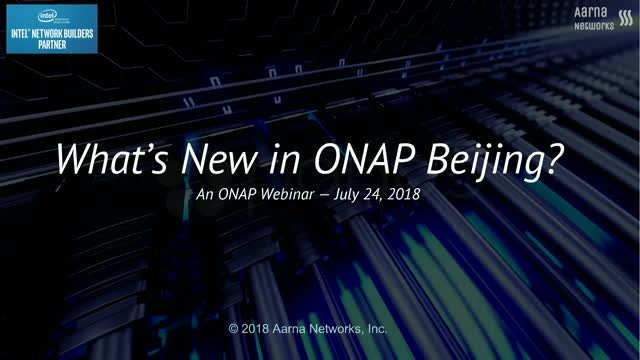 What's new in ONAP Beijing Release? Amar Kapadia, Co-founder Aarna Networks, Inc. Title: What's new in ONAP Beijing Release? Presented by: Amar Kapadia, Co-founder Aarna Networks, Inc.